A YES to any of these questions suggests that you are employing, and you do not meet the criteria of engaging a subcontractor. Are you the only client of the individual for the relevant period and their sole source of income? Do you maintain significant control over the individual’s hours and workload? Does the individual not wear a uniform specific to their own company when they attended work? Does the individual wear a uniform with a logo of your company insignia on it, and they introduce themselves to customers as being from your company? Do you have all financial dealings with the company’s customers i.e. all invoices were automatically generated by your computer system once the individual had closed off a job, the individual does not invoice the client directly? Was there no negotiation between the parties in respect of the terms of the initial contract of engagement – ’take or leave it’ approach? Does the individual receive the work allocated to them by the company the night before? And/or they accessed information in respect of the jobs by logging onto your company’s online system? Is the individual is supervised by your company? Your company’s quality assurance employee would check the work that the individual had completed to ensure it had been competed properly. Has the individual not advertised their services to other potential customers, and did not hold themselves out to the world at large as a company that undertook specialist work? If you have answered YES to any of the above questions then you may be accused of sham contracting. 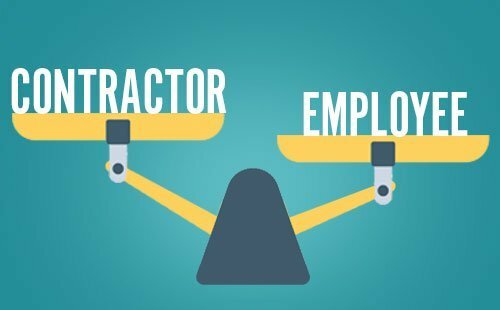 The Fair Work Ombudsman has been actively focusing on sham contracting and fines up to $630,000 for company’s and $126,000 for directors can be issued, with the current record fine totalling $532,910. Avoidance is the best way to manage this exposure and to reduce the potential risk of a large fine and costly legal action, regular reviews should be undertaken, including visiting the Fair Work Ombudsman website at www.fairwork.gov.au. This is also an good reminder of the importance of having the right insurance protection in place.